After months of delay, Hero MotoCorp has confirmed that the Xtreme 200R will go on sale starting next week. 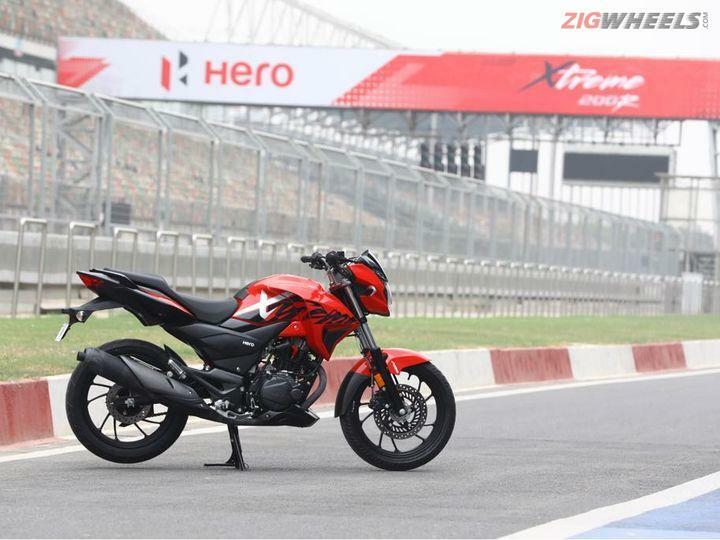 We had the chance to take the Xtreme 200R for a quick spin at the Budh International Circuit in Greater Noida. To know our thoughts, click here. The Yamaha R15 is one of the most popular 150cc sports bike in the country. To make the motorcycle even more appealing, Yamaha has now introduced a new 'Moto GP' edition. Priced at Rs 1.30 lakh (ex-showroom Delhi), the limited edition motorcycle is Rs 3,000 dearer than the standard variant. To know more about Yamaha R15 v3.0, click here. You can also check out our in-depth road test here and track review here. Yamaha also launched two new colours for the rear disc brake variant of the FZ-S Fi. Click here to know more. Hero unveiled the Maestro Edge 125 and the Duet 125 at the 2018 Auto Expo. Ever since, we’ve been waiting to get our hands on both scooters. But before we get a chance to do that, latest reports suggest that the Duet 125 may be renamed before it even goes on sale. To find out the new name and the various first-in-segment features that it is likely to be offered with, click here. India celebrated its 72nd Independence Day this Wednesday. To mark the event, many bike manufacturer such as Triumph, Ducati, Indian and Suzuki flagged off nation-wide rides, some of which were conducted to support a social cause. Others like Suzuki flagged off gruelling rides that span over 4,000kms and three countries! To know what we're talking about, click here. After bringing us the Roadmaster Elite a few months ago, Indian Motorcycles has now launched yet another ostentatious motorcycle - the 2018 Indian Chieftain Elite. Just like the Roadmaster Elite, this too is a limited edition model. To know more about its exorbitant pricing and what makes it so special, click here. If you thought the Ninja H2 wasn't bonkers enough, Kawasaki has now unveiled the 2019 version of the supercharged Ninja at the 2018 Bonneville Speed Week in Utah, USA. As a part of the update, the Japanese bike manufacturer has bumped the H2's power figures without compromising on fuel efficiency (at least that's what they claim). But that's not it, the 2019 Kawasaki Ninja H2 also comes with a "self-healing" paint, which, as the name suggests, heals minor scratches and bruises by itself. There's plenty more to talk about the 2019 Kawasaki Ninja H2 and its power. Click here to read our in-depth report.